The new masterwork by one of the most influential psychologists and thinkers of our time! 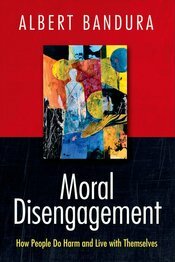 "This fascinating book is a sad reminder of the ubiquity of moral disengagement; it is a much needed call to arms; and it is even a practical primer of how to engage with others in ways that recognize and build on our shared humanity. It helps us identify and resist what threatens to diminish each of us and reminds us that morality is less about the ends we seek to achieve and more about the means we use. "